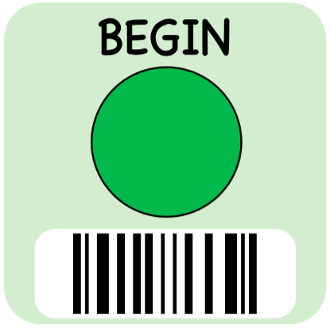 Through continued research and development, we have improved the KIBO programming block labels to make them easier to scan. All kits sold after November 1, 2017, include the new blocks, but we wanted to make it possible to upgrade the blocks in the older kits. To purchase, enter the number of blocks you want to upgrade in the "Quantity" field, and add those to your cart. Then, in the Special Instructions field during checkout, list the blocks you want to upgrade so that we know which stickers to send you. Note: this item lets you pick individual blocks to upgrade. But if you're looking to upgrade all the blocks in an entire KIBO kit, a simpler choice is our Block Sticker Upgrade Pack. These are pre-configured sets of stickers and parameters to upgrade a whole KIBO 10, KIBO 14, KIBO 18, or KIBO 21 robot kit.